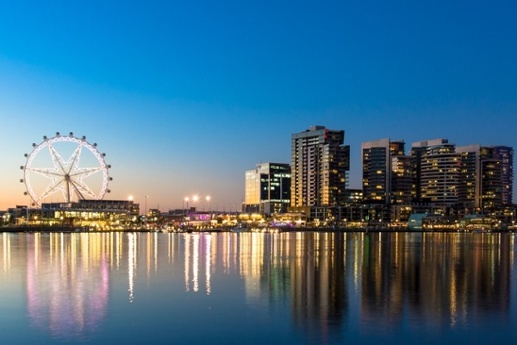 There’s plenty to see in this cultural hub of southern Australia, but get off the beaten path and see what magic lies in the surrounding areas of Victoria’s capital city. Add some of these to your list of things to do in Melbourne, Australia and we guarantee you’ll have an amazing trip! This historical gem has a long history besides now currently being known as one of the top day trips from the big city. Early in the 1900’s, the Puffing Billy railway was one of four low-cost rail lines constructed in Victoria to open up remote areas. Today, tourists and locals alike travel on restored locomotive trains through Sherbrooke Forest, where you can see examples of native “mountain ash” trees and the famous timber bridge, Trestle Bridge. There’s something for everyone on the Puffing Billy, with themed excursions like the Jazz train, the Murder Mystery train, and family friendly themed trains like Santa’s Special and Day Out with Thomas. Definitely book ahead because this popular train trip gets full pretty quickly! Hop in the car and head to this seaside town that has a calming shore bordered by lush rolling green hills. Near the pier there are lots of quaint eateries and shops, or see some of the natural surroundings at the Mushroom Reef Marine Sanctuary. This marine park located along the Flinders coast supports the most diverse intertidal rocky reef communities in Victoria, where you can see sheltered rock pools and coves. Or for the horticulturalist in the group, visit Ashcombe Maze & Lavender Gardens, which is home to Australia’s oldest hedge maze that has beautiful blooming roses from November until June. Check out their calendar for seasonal events and be sure to stop in the cafe, which has a fragrant menu of homemade lavender treats like scones and ice cream. About an hour’s drive from Melbourne, you’ll come upon some of Australia’s best wineries and vineyards. Definitely plan a day trip to Yarra Valley if there are any wine aficionados in the group. 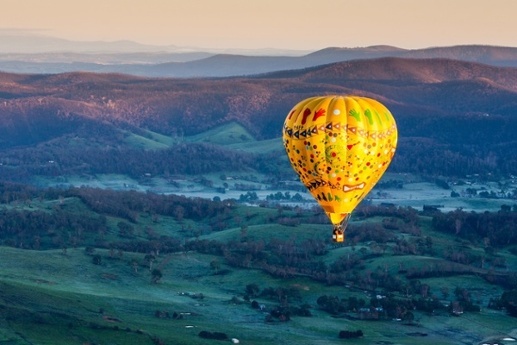 This valley isn’t just about wine, though as you’ll find some of the region’s widely known festivals like the Strawberry Festival that is held every November or the Balloon Festival in October. Or if you’re feeling like you want a bit more adventure and want to get closer to the food action, visit Australian Rainbow Trout Farm where you can catch your own rainbow trout, Atlantic salmon, or there’s even fly fishing for a more challenging experience. If you do decide that a day isn’t enough, Yarra Valley has some lovely bed and breakfasts in the area where you can extend your stay. For a bit of relaxation, head to Victoria’s spa country and push the reset button. Here you’ll be able to indulge in one of the region’s top spas, Hepburn Springs. This historic bathhouse draws mineral springs straight from the source and offers every kind of soothing treatment you can imagine including massages, facials, and water therapies. Once you’ve zenned out, take walk to the Convent Gallery which is nestled high up on a hill at the edge of Wombat Hill Botanical Gardens. This expansive 6 acre property has amazing art galleries, and some delcious bars and eateries on site. Definitely worth a trip just for the views! And last but not least, Phillip Island is a must see for the sunset penguin parade. This day trip will make you feel like you’ve had a true escape from the city with nature’s wonders all around. Here you can visit Seal Rocks, home to Australia’s largest fur seal colony. And definitely visit the Nobbies where there’s a scenic boardwalk along some natural sea bird gardens. Leave some time to see Australia’s fuzzy mascot at the Koala Conservation Center. Take a walk through the eucalyptus woodlands to see these cute creatures in their natural habitat. This day trip is sure to be packed with getting up close and personal with Australia’s wildlife, so start the day early if you want to see our animal friends. However you decide to escape the city, we know that these day trips from Melbourne will be memorable. There’s something for everyone on our list, so start planning and get ready for the trip of a lifetime!